Is Advertising The Antidote In Today’s World? | Business Article | MBA Skool-Study.Learn.Share. Is Advertising The Antidote In Today’s World? What is marketing? Let’s skip the American marketing association definition and de-jargonize it. Some people say its advertising and sales. In reality it is everything that a company does to acquire and retain a customer profitably. The next question- How does a company successfully market itself? Many people say it’s simple... Advertisements – That’s how you market your products..
And so is marketing in today’s world. Best marketing programmes are the ones which are not obvious. But we don’t know that time. Nor can we imagine. We have lived and grown up with choices. We have to rack our brains to decide which tooth paste shall we use, which car should we buy and which cuisine should we eat. Seeing commercials was a part of life since childhood. We have been a lucky generation which has seen the evolution of advertising and marketing. Newspapers, radios, TVs and now Facebook. Everywhere you see there are ads selling myriads of products. An average person like you and me face 3000 ads per day. And we have adapted to it. We happily ignore these messages. Bob Gilbreath has said about the dichotomy of a marketer’s life in his book – the next evolution of marketing. In the office you make strategies to sell a product and when you come to your home turn on your TV, see ads selling some product and change the channel!! So the simple answer ‘Advertising’ is wrong!! I repeat again - Worlds best marketing programes are the ones which are not obvious. In this era how are successful companies finding a space for themselves in this clutter? The answer is- They are not requesting you to buy. They are not talking only about their products, benefits and their value but are designing programmes and strategies which do not appear as marketing when you see it first. They are designing programs which are involving you. They appreciate you. They are helping you to excel. They are helping you to make your life better. They are cleaning the environment for you. They are giving you free information. In short they are caring for you. It all started in 1952 when Guinness came up with a very clever way of advertising. They came up with an oyster guide which gave free information about various types of oysters. It had a small pic of Guinness. 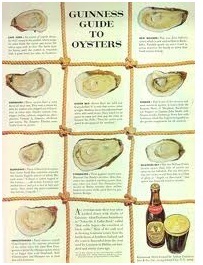 This conveyed that Guinness goes well with all kinds of oyster. But that was not the clever part. Clever part was that the information on oyster. House wives had that poster (a one page ad in the newspaper) in their kitchen. They carried that brand. Since then we have seen that a lot of companies doing that. Philip Kotler talks about something which takes this caring on to a different level all together. Cause related marketing is when a company is involved in giving back something to the society. They take up a social cause and increase awareness for it. 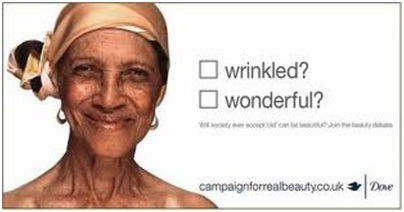 The real beauty campaign started by Unilever is a perfect example of the same. In the past Media promoted razor thin and malnourished, laden with makeup women as beautiful. Dove came up with Real beauty campaign in 2004. It celebrated real women, some thin some plump, some fair some dark some young some old. 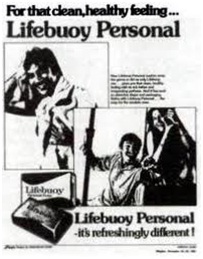 This extremely successful and widely appreciated programme helped the consumers connect to the brand. It never said that buy Dove and you will be beautiful. It said you are beautiful and we celebrate you. Walmart has taken a lot of initiatives to become green, Body shop buys there raw material from local and poor communities around the world, e-chaupal helps the farmers in getting right price for their produce. These companies have learnt how to survive and grow with the community. The father of marketing Philip Kotler in his book Marketing 3.0 talks about how marketing needs to meet the emotional and rational needs of the customer. The companies are smart. They are selling products with high functional value. But the customers’ needs have evolved. They are seeking for emotional need fulfilment as well. Kotler says that a company needs to touch the customers mind heart as well as spirit. That is probably an answer to how can a company distinguish itself today. Marketing has evolved much beyond the advertisement days. Marketers have to realize that only communicating the value will not get them there share of the pie. They have to treat their customers as partners who have to grow and prosper together. This article has been authored by Namrata Nande.